Two separate railways, little in gauge, large in appeal. The 13½ mile Ffestiniog from Porthmadog to Blaenau Ffestiniog, one of Wales’s best-loved Great Little Trains, was originally built to carry slate. 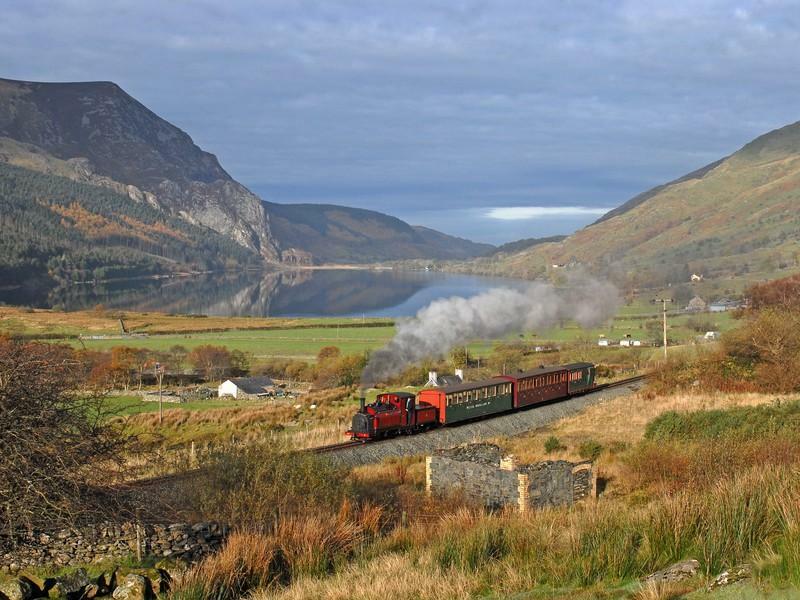 The Welsh Highland from Caernarfon to Porthmadog travels through some of Snowdonia’s most breathtaking mountain scenery and the show-stopping Aberglaslyn Pass – a whopping 25 miles from start to finish, making it Britain’s longest heritage railway. Put the two railways together with the Conwy Valley line and other public services for a memorable circular tour of Snowdonia. It’s the smallest of Wales’s narrow-gauge railways, with a track width of only 12¼ins. So it’s dinky, it’s sweet – but it takes you on a railway ride through the dunes to some pretty big views of the Mawddach Estuary and mountains beyond. The ride in itself is enough. But there’s more. It connects with the ferry across the Mawddach to Barmouth/Abermaw. A remarkable underground experience. Abandoned in 1903 but now reopened to visitors, Sygun tells the story of Victorian miners. Nowadays, it’s hard to believe that such gritty industrial heritage exists amongst so much natural beauty. Take a self-guided tour of the old workings. 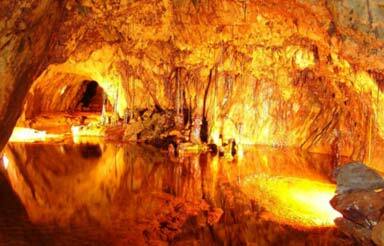 See audio-visual presentations and stalactites and stalagmites as well as copper ore veins containing traces of silver and gold. Children’s adventure playground, museum and panning for gold above ground.